Chatter Bars | Product Information - Azuma Seisakusho Co., Ltd.
Raised markers (chatter bars) are safety equipment that prevent vehicles from straying into other lanes, which could cause a head-on collision, by visual guidance using reflective materials and physical vibration if the markers are run over. Road studs are small raised markers suitable for narrow roads, etc. where it is difficult to install regular raised markers. Also, they can be installed on curbs and center medians to clearly indicate the road lines and prompt drivers to drive safely. Azuma's products have excellent strength and durability and are highly effective under various road conditions. These products employ an M-shaped profile, which is resistant to loads from above, and their parallel edge lines at the top have excellent visibility. Swareflex reflective materials, which have excellent retroreflective properties, are used. Raised markers suitable for narrow roads. Reflectors installed on curbs and center medians. Protruding reflectors installed on curbs. Their protruding shape makes them stand out so they are very eye-catching from vehicles as well as to pedestrians and bicycles. 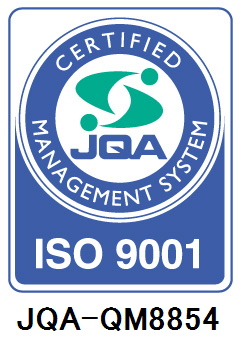 Traffic Safety Division, Azuma Shokai Co., Ltd.
Website of Azuma Shokai Co., Ltd.
We were certified by ISO9001, an international standard for quality management systems, in October 2002. Copyright © AZUMA SEISAKUSHO Co.,Ltd. All Rights Reserved.